The most prestigious recognition of commitment and dedication to EGHS is the award of Life Governor. Our most recent Life Governor, Mr Matthew Wood joins a distinguished group of dedicated people who have received the Award. Matthew came to Ararat in May 2005, transferring as Senior Sergeant, Officer in Charge of the Ararat Police Station. He arrived with his wife Donna, and three children; Catherine, Jacqueline and Michael; who all attended Marian College in Ararat. During his time in Ararat, Matthew has been a Board Member of the Ararat YMCA, Stewardship Council member of Marian College and an AFL football umpire. Matthew has served the community basically his entire life, working in Victoria Police for 33 years, resigning in 2012, then becoming the Manager of Risk, Emergency Services and Local Laws with Ararat Rural City Council. Matthew is currently the Acting General Manager Corporate Services with Council. Matthew was appointed to the Board of EGHS in 2011 and was Chair of the Board from 2014 to 2018. After eight years of exemplary service, Matthew retired from the EGHS Board on 30th June 2018. Serving on the Board and having influence in the health of the Ararat and District community has been very fulfilling and satisfying for Matthew. He felt it was a privilege to volunteer as a Board Member; supporting the CEO, Executive Team and the wonderful staff and volunteers that make EGHS such a great organisation. 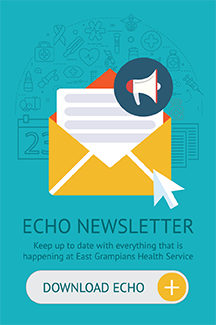 During this time, Matthew never lost sight that the wide range of services delivered by EGHS need to benefit the entire community and his wish is that EGHS continues to prosper into the future, and adapt to the changing paradigm that is Health. 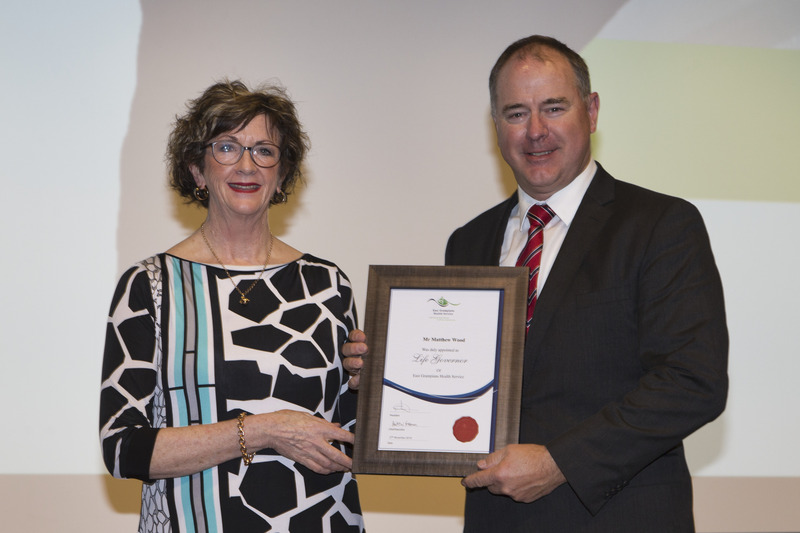 During his tenure as Board Chair there were many highlights, including being named Premier’s Medium Health Service of the Year two years running and receiving $4.12 million in funding from the State Government for the Community Health Centre expansion project. Under Matthew’s progressive leadership EGHS is certainly well placed for the future. 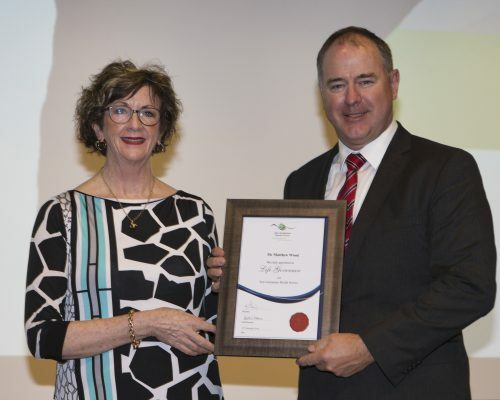 Matthew will always be a passionate supporter and advocate for East Grampians Health Service and is honoured and humbled to be bestowed the award of Life Governor.